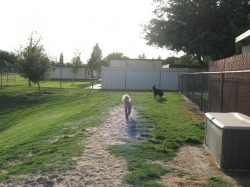 Bakersfields OFF LEASH dog parks! This park is beautiful. 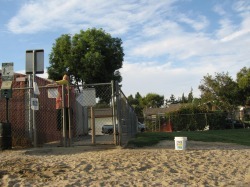 I think the most frequented park in Bakersfield. 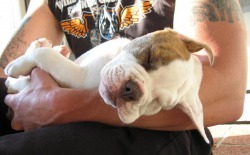 At any given time 5 - 35 people which translates to an average 15 or more dogs. Fridays and saturdays are busy days! 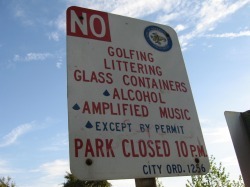 Kroll park is definately an upscale quiet neighborhood. On my cleanly and safe scale from 1 - 5. 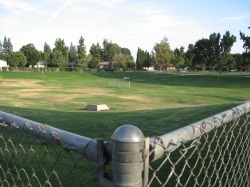 I give this park a 4.5 the run is a monster of a park I'd say right at a football field both ways. 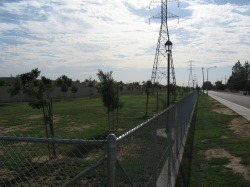 The park is located on the right hand side of Kroll way just past Via Carisma. Having 1 double inlet gate on the south side and one single inlet on the north, a water spicket just out side of the north gate, grab bags for your buddies pick up's and garbage. It has 6 table rests for us to mingle and or rest our weary heads. There are shade trees on the South and West side of the park other than that bring hats! 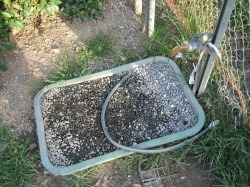 The one draw back is that all of these are sumps for the city or water inlets that have been dictated dual purpose. 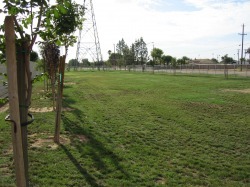 Hence when there is pool drainage, rain or any thing of liquid pored into the drains it goes directly into, yes youve guessed it, the dog park. So if you dont want the off chance or in my case a wallowing willburry in a 59 x 18 sized area of mud, then you might wanna head elsewhere. However having said that if you for sure want your dog to run and play with other animals this is definately the park to head to as everyone here is very respectfull and curtious to their dogs friendliness or the lack there of and definately controll then if so. oh and one more thing about the water run off and rumors of this park, is that the cuss work GIARDIA has been mentioned as being associated with the muck that is left after the water ceases. So just be carefull. 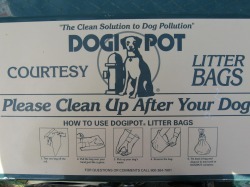 And too, everyone please pick up after your animals! 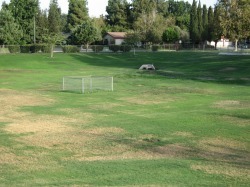 Lets keep these parks just as beautiful coming in as going out! This park is gorgeous. A bit lesser in size length and width wise however brand new, estimated half football field long and 150 feel wide. Super clean and safe. I give this a 4.5 on the cleanly and safe scale. In between Mohawk and Fruitvale across from Witte st. Not very well known yet but I believe will be soon. Its also across from open dry ackerage. 3 tierd power poles on the east and west side. There are no shade trees as of yet but are there are plenty growing though! 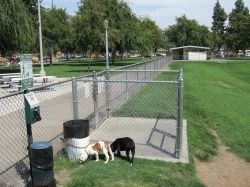 This one is not a sump its an actual dog park! 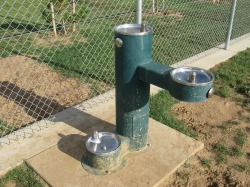 All flat ground and a super nice waterer for humans and dogges. Nice new victorian gas lamps to light your way if there after dark as well as victorian benches just out side on either side. This park is definately a beautiful one! Has grab bags and grabage. 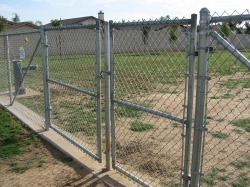 No double inlet gate so be carefull of other dogges that come up to greet you and try to get out.